But aren't we all? Yes, yes, Steam is a pretty decent online store. At least Smash Bros. creator, Masahiro Sakurai, thinks so. Maybe he could, you know, make a game to sell there. "It's become mandatory that each platform has its own built-in [digital] shop." Sakurai reflected in his semi-weekly column in Weekly Famitsu. "So among those, which online shop is superior and offers the most incentive to buy from it? I would answer, 'Steam.'" Despite being ostensibly a creator of games for Nintendo systems, Sakurai overtly praised Valve's marketing system from multiple angles. "When someone opens Steam, depending on their purchase and viewing history, suggested titles pop up. And there are sales almost every day with massive deals." Sakurai observed. "The changes vary, making me check in frequently." In terms of ratings and feedback, Sakurai emphasized the Steam format which discourages flaming and malicious low score spamming by only allowing ratings from people who purchased the game they were rating, as well as showing the play time of the rater, and ratings for ratings. From genre and theme tags for easy organized searching, online rankings, Steam achievements, wish lists, the ability to purchase bundle packs with the games and all available DLC, automatic updating, to sharing with social network services, Sakurai gushed over the Steam service. "I write this because on varying levels, I have complaints with every other online shopping format." Sakurai said in conclusion. "While there are limitations for each platform, perhaps those in development of shopping apps could take a page from Steam's playbook?" 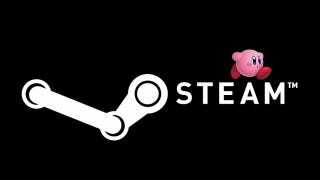 None of the games that Sakurai has worked on are available on Steam, and he did not say that he would like to put any of his games there. But coming away from his outpouring of enthusiasm for the system, I wouldn't be surprised if the urge was there. Not to fall back on the old, "if you love such-and-such so much, why don't you marry it?" but, I wouldn't be against seeing an all-new Sakurai game on Steam. If he's feeling up to it, at least. The potential cost of a great game.